If you’re a website owner, or in the market for a new website, having concise and effective content, a functional design, and intuitive user experience are key. But as I mentioned in a recent post about conversion rates, websites have to do more than just list out information especially if you’re in the business of selling products or services. The website has to call the users to complete a particular action. 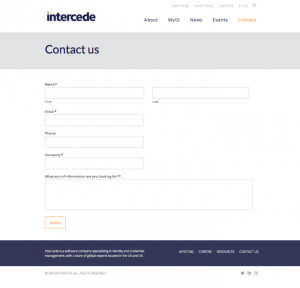 Contact information forms cannot be an afterthought for your website; first and foremost, they encourage visitors to convert into potential customers. Many websites will forget or neglect to include contact information, which is a huge detriment for your business. No matter how great your product, mission, or service is, customers have to have a way to access it—if they do not have access, they cannot convert. There are many, many contact information applications available to use on your website. At WDG, we are advocates of a great WordPress plugin called Gravity Forms. Gravity Forms is a paid plugin that allows you to quickly build, customize, and manage contact forms used for collecting user information. Out of all of the existing contact information applications, why do we use this one? Unlike other contact information applications, the Gravity Forms plugin for WordPress stands out from the rest with its simple form generation with drag and drop field inputs; variety of add-ons that allow you to integrate third party services, like PayPal and MailChimp; ability to create complex forms; pre-defined classes for easy styling; and top-of-the-notch WordPress support network. Its simplified form generator acts as the foundation and is only restricted to the limits of what you can come up with. The simple fields allow for basic inputs like numbers, single line text, and paragraph text, while the more advanced fields expand for even more elements like phone numbers, emails, file uploads, and captchas. Another great feature of Gravity Forms is the use of conditional logic, which allows you to set your form to show or hide different fields, pages, and sections based on how the user responded to the previous question. Gravity Forms developers are allowed to customize notification messages for admins and users. It also allows the use of merge fields within HTML emails so form input data can be inserted directly in email notifications. With Gravity Forms developers can easily add form widgets, posts, user registration forms, and other elements onto the WordPress template. 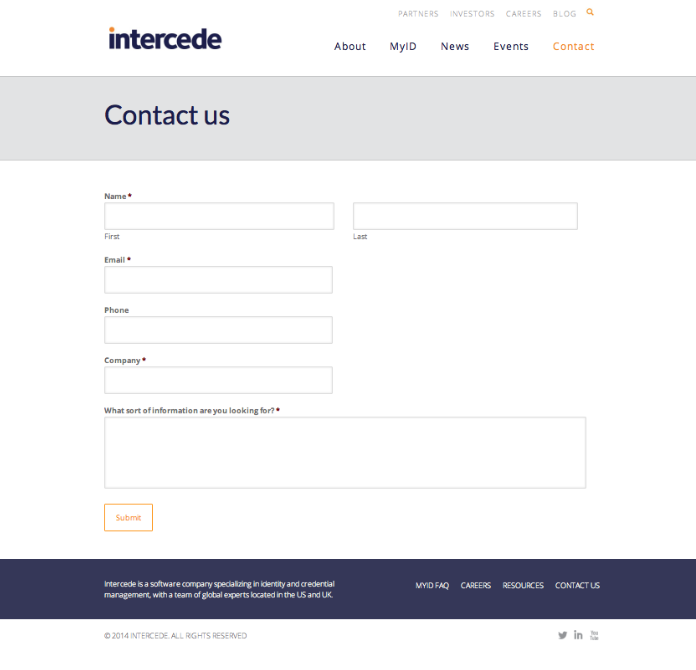 Our website developers have implemented this contact information plugin on a number of client projects, including Gravity Forms examples like Intercede and One Nation of Gamers. With Intercede, a software company specializing in credential management within the US and UK, Gravity Forms were configured so that user submissions were routed to different addresses depending on what the user was interested in learning. 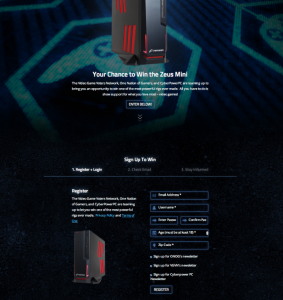 With One Nation of Games, WDG website developers used Gravity Forms for a giveaway application that registered users, tracked following accounts and sharing on different social networks, and allowed for referral codes. This was integrated directly into Gravity Forms for WordPress, where all the data and information was stored. This Gravity Forms plugin was particularly successful, with a 30 percent conversion rate, which is huge. Take a look at our past blog posts about our must-have tools for developers and our extensive list of WDG’s favorite WordPress plugins for more awesome web design and development information. Learn more about our services by getting in touch with us today.